I walk past The Plasterers regularly but hardly ever go inside. As soon as I'd heard they were serving a Full English breakfast though I was there like a shot! We arrived just after they had opened at 10am so it was nice and peaceful inside. There's plenty of tables to choice from, we decided to sit by the window for the best light to take photos in. The Plasterers serve a vast selection of beers, ales and ciders. They also serve Voodoo Daddy's pizzas, I've tried the beast and the fat Elvis before and both were superb pizzas. Outline magazine is available to read whilst you're waiting for your food to arrive. The breakfast menu is reasonably priced and offers a good selection of fry ups, breakfast rolls and bloody Marys. My big boy fry included a hot drink, I chose a coffee. The milk for the coffee arrived in a small glass which served its purpose quite nicely! 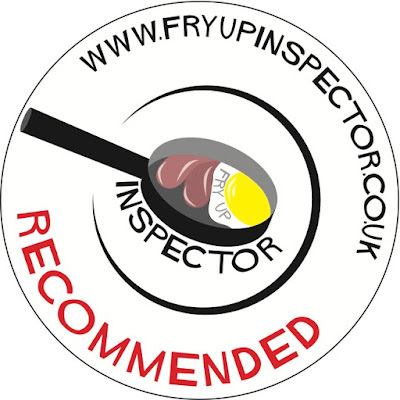 If you like hot sauces then you'll love it here. I'm not personally a fan of hot sauces but my wife loves them and I really appreciated the bottles of Heinz and HP. When the food arrived first impressions were good, very tidy presentation! This breakfast definitely deserved an aerial shot! The jumbo sausages were huge and tasted good, they were from nearby Peter's butchers. Very impressive eggs, I usually like the tops of the yolks cooked ever so slightly but these eggs were superb. Beautifully fried mushrooms and very tasty tomatoes. The hash browns could have been a tad crispier but not really an issue at all considering how good this breakfast was. The breakfast also included toast, I enjoyed the eggs over one slice and the bacon between another slice. 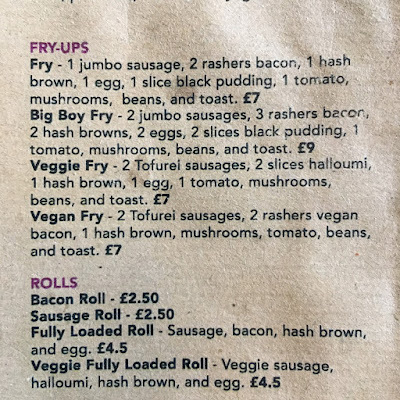 There isn't currently a vegan option on the menu but the staff were happy to let my wife choose the items she wanted on her breakfast. They told us they're working on creating a vegan breakfast which they hope to add to the menu soon. Veggie option - 2 veggie sausages, halloumi, hash browns, grilled tomatoes and all of the trimmings £5. 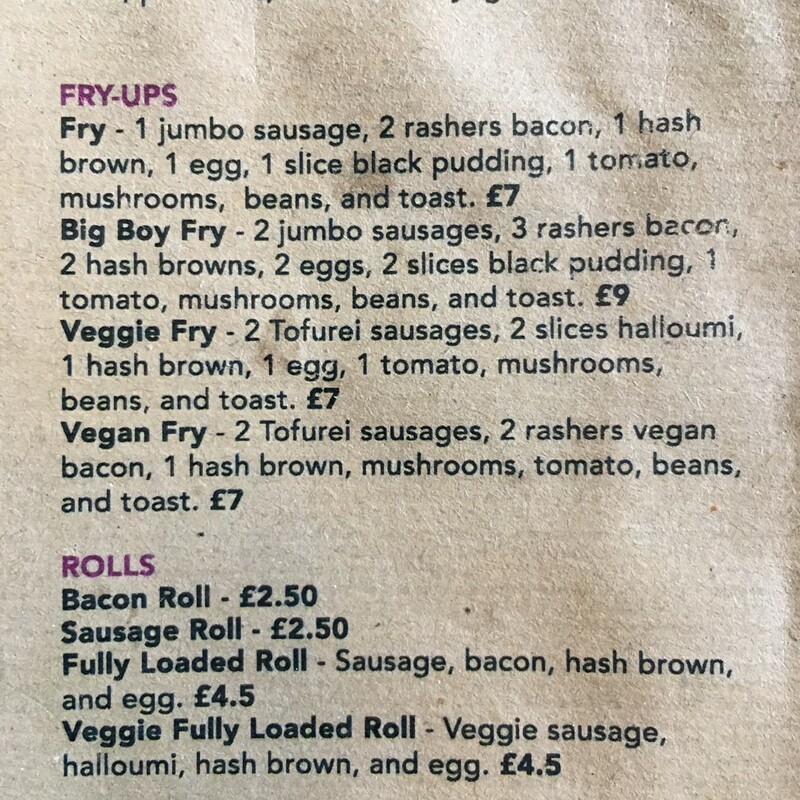 The big boy now costs £9 and no longer includes a hot drink, still a lot of fry up for your money though. 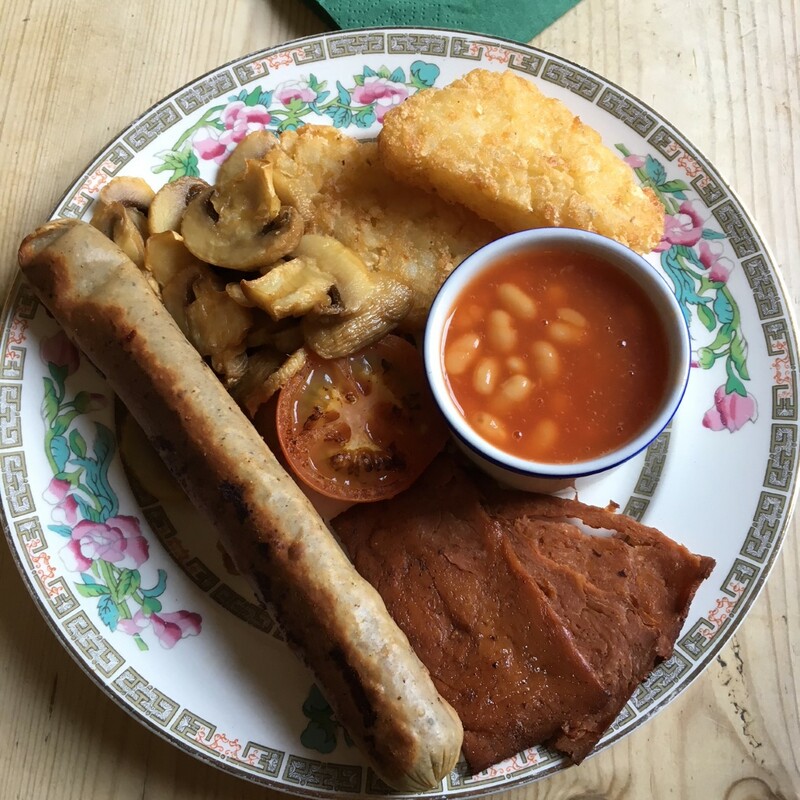 There's now a vegan breakfast on the menu too which delighted my wife. 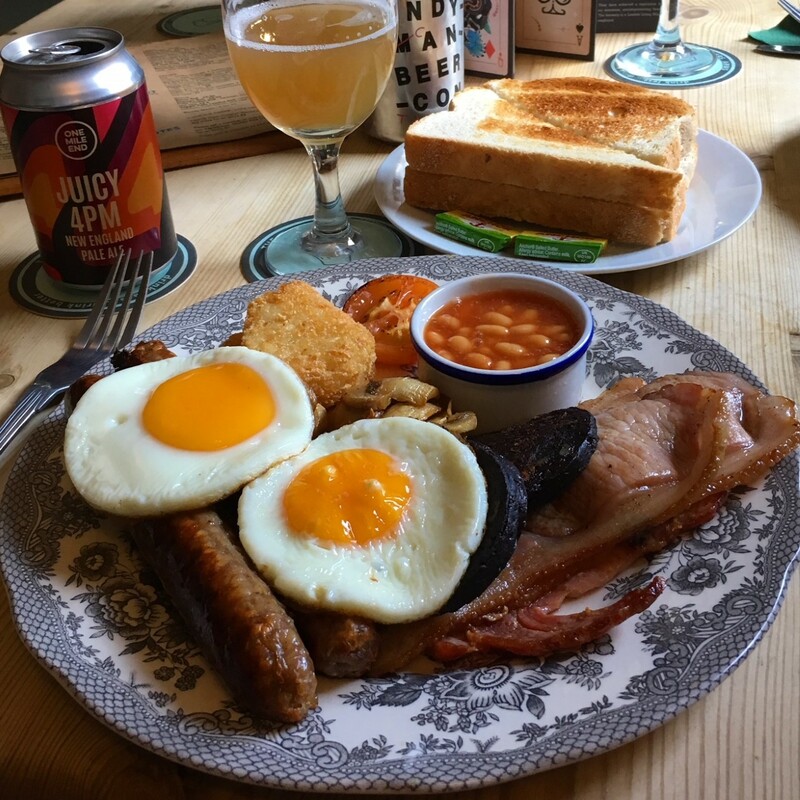 It was lunchtime so instead of a coffee I enjoyed a Juicy 4pm ale with the big boy breakfast, A great combination! The vegan breakfast, they'd run out of Tofurei sausages but the jumbo replacement was superb. Welcome back Inspector! Missed you! I love this pub, don't get in often enough but when I do, great beers and the pizza is fab too. I'll have to try the brekkie now, it seems! You have my sympathy as regards Ella and the hot sauces - I've got the same problem but in reverse. My wife's idea of "spicy" barely registers on my scale, then I get disapproving looks when I add the hot stuff to whatever she's cooked. I don't know if you can get it where you are, but tell Ella to try the *chipotle* version of Tabasco if she hasn't already - NOT the plain stuff, that's just pure heat - the flavour from the chipotle version is absolutely superb, far better than Sriracha IMO. Seven quid and it's not all economy crap either? Bargain. Now that is a brekko...ok the hash browns needed a few more minutes, and I'd prefer bubble, but everything looks spot on. Eggs are perfect, sausages look great, bacon maybe a tad dry, but the price is spot on. As a chilli fiend I'm loving the Sriracha on the table, and I'm intrigued by those Voodoo pizza's...another place on the list this summer! Visited for first time recently, prices have been put up. 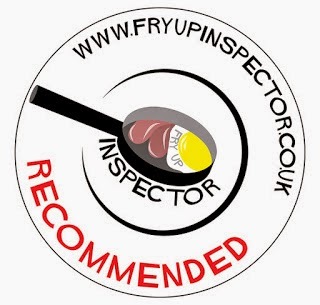 Big boy fry now £9 with no drink included. Frosty reception from staff. 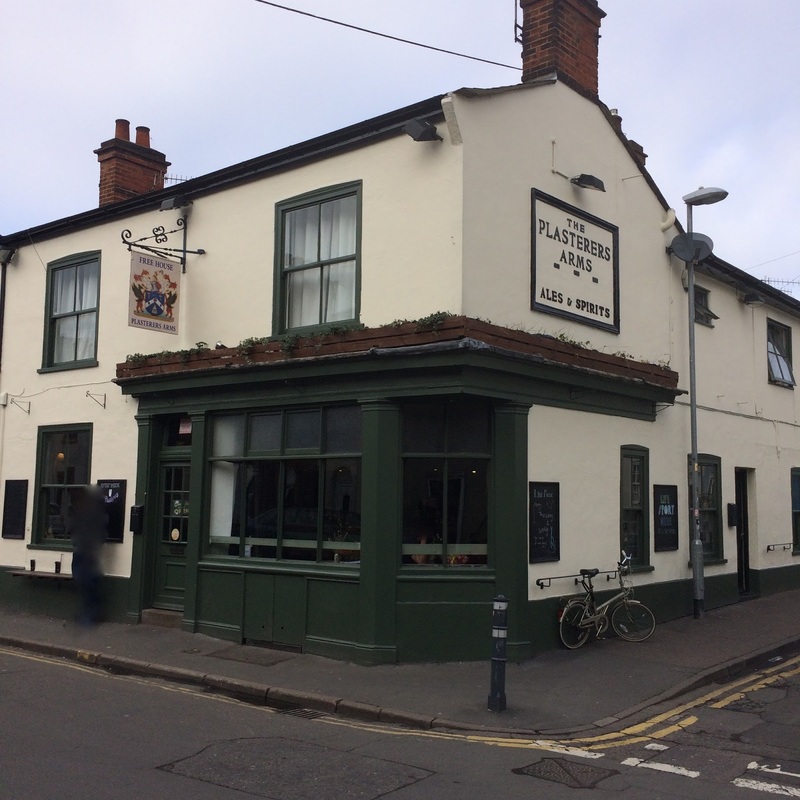 Nothing like the many happy evenings we have spent in this pub!